At Paragon, our fitness professionals hold nationally recognized certifications in personal training/coaching as well as in specializations ranging from corrective and orthopedic exercise, golf fitness, and barefoot training. In addition, we take our entire staff through Paragon’s own comprehensive certification program to ensure that our clients receive the highest possible standard of service. 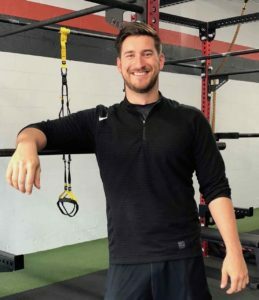 Our fitness professionals each have their own personal and unique style, but the most important quality that we have in common is an unwavering dedication to helping our clients achieve their best possible quality of life. Patrick is a husband, father of two, National Academy of Sports Medicine certified personal trainer, and owner of Paragon Fitness. 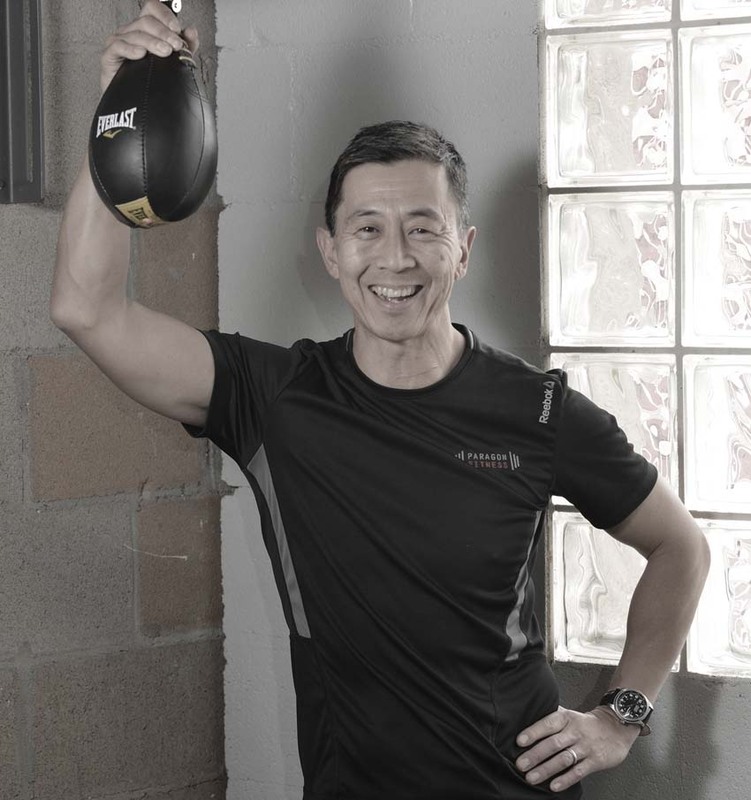 He has been passionate about sports and fitness his entire life, and for years has been an advocate for living a healthy lifestyle to friends and family. After the better part of 20 years in corporate America, he decided to fulfill a dream and turn his passion into a career. Patrick holds a Bachelor’s of Science degree in Management and is a former D1 collegiate athlete. Paragon Fitness is a culmination of an extensive business background coupled with a life’s passion. Getting healthy isn’t easy, but it doesn’t have to be complicated. It’s about using that one hour a day in the gym to make your life easier. That’s where we come in…we teach you the plan to succeed! Boko is a National Academy of Sports Medicine Certified Personal Trainer and corrective exercise specialist. With certifications in Scientific Core Conditioning and Scientific Back Training from the C.H.E.K. Institute, Boko is passionate about teaching his clients how to move their bodies in a biomechanically efficient and safe way so they can perform at their best, be it at work, in everyday life, or in the activities they enjoy most. 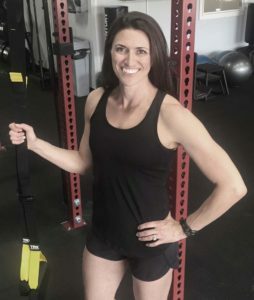 Missi is a Master Fitness & Nutrition Therapist and Yoga Practitioner whose own journey to wholeness has contributed to the creation of her unique approach to fitness, nutrition, and Whole Life Health. Having lived a life strongly connected to her body and the power it gives her, Missi’s profound realization is that care and nourishment for the mind, soul and physical body must be interwoven if genuine strength, health and happiness are to be achieved long term. Her programs aim to free clients of their past fitness and diet dogmas – away from feelings of being stuck or not good enough – and towards a higher realm of self-care, strength, gentleness, peace, and joy. Missi invites clients to reflect on their whole self through mental, emotional, spiritual and physical exercise and nutrition, to develop a health profile that fits each person’s unique phase of life. 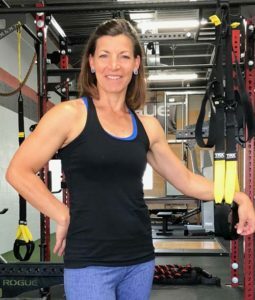 You may recognize her formerly as Missi Holt from her many videos including Yoga for Pain Relief, Craig Ballantyne’s Metabolic Kickstarter series, as well as her many YouTube videos and Early To Rise articles. I became a trainer because it was a perfect combination of my passion for fitness and my desire to help others. From my experience playing sports I know how great it feels to set a goal and put in the work to achieve that goal; working out is the same way and it can do so much to change your life. As a personal trainer I can help you make the changes you need to live the life you want, even if you have felt intimidated, discouraged, or frustrated in your past efforts. Whether it is weight loss, muscle gain, or increased performance I am ready to help you reach your full potential. With some hard work and a lot of fun we can reach your goals and get you started on the life you want to lead! At a young age, Marie was diagnosed with scoliosis. The options were to have a metal rod surgically placed in her back or to stay healthy by exercising and eating right. Had she gained too much weight or not stayed physically active, there would have been an undue amount of weight on her lumbar spine, causing pain and complications. That’s where Marie’s journey and passion for health and fitness began. Growing up here in Denver, she was actively involved in organized sports and dance. She then attended Liberty University in Virginia to study exercise science. Upon graduating in 2003, she moved to Huntington Beach, CA where she was a personal trainer at LA Fitness and taught beach boot camps. 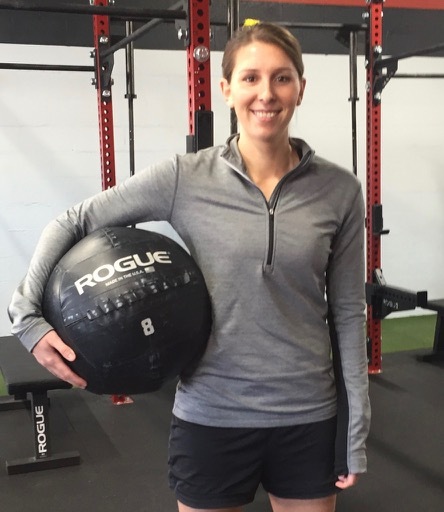 For the past four years, she has been specializing in private training, partner training, and small group training. If she looks familiar, you may have even seen her featured in Craig Ballantyne’s Metabolic Kickstarter video. All of Marie’s clients are very important to her. Each one is unique and that is how she trains them. Everyone has different goals and needs, but all want a healthier, stronger, happier life. 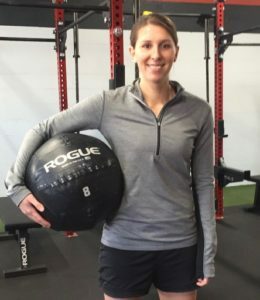 Personal training to Marie is personal, meaning that she treats clients with full attention and truly invests in helping them reach their goals as quickly and effectively as possible. Through her personalized resistance training, core activation technique, and nutrition tips, she helps her clients with losing weight, building lean muscle mass, reducing pain, gaining mobility, eating healthier, and building confidence/self respect. Life is wonderful, but it can be tough. Marie’s mission is to help you have a safe, positive, energetic place where people really do care about you and want you to succeed not only in your fitness goals, but also in life. Let’s get started! I am a professional athlete, certified personal trainer, and Registered Nurse. I have always had a strong passion for helping people and getting them to become the best version of themselves. Fitness and nutrition is not a “one size fits all” package. Every person is different, with different goals, abilities, and genetics. Therefore, a training plan should be completely customized to each individual. My goal is to analyze each client and provide them with an individualized plan that will help them to not only reach their goals, but also become a healthier more functional human being. Throughout my 20 plus year career in fitness I have acquired a wide array of professional tools and I have even created some of my own, including the Power of Pregnancy prenatal fitness program. Enjoyment is key to adhering to fitness as a lifestyle. We will work together to keep things fresh and inspiring. My training sessions may include breathwork, yoga, strength training, TRX, Pilates mat exercises, stretching or lying on my BEMER vascular therapy device for recovery. Your performance is only as good as your recovery plan. Whether you are a mom, a retiree seeking quality of life or you are coming back from an injury, I will empower you to perform at your peak. I implement recovery into every session, so that your time with me will leave you feeling energized, inspired and motivated NOT sore, tired and depleted. I am a single mother of 3 children and the youngest in the family of 10 kids. Staying active has been a staple in my life and has been key to my survival through some of life’s biggest challenges. No matter how busy or out of whack life gets, staying active is the mainstay. Organize your life around your fitness routine and watch your life TRANSFORM! I knew I loved training when I realized that my client Rocky no longer needed to walk with a cane after a couple months of training! Brian views fitness and training as a journey, not a destination. His passion for teaching is honed from 18 years as an elementary teacher, 13 years as a high school basketball coach, 12 years (and counting) coaching youth sports, and 8 summers working as a fly fishing guide. 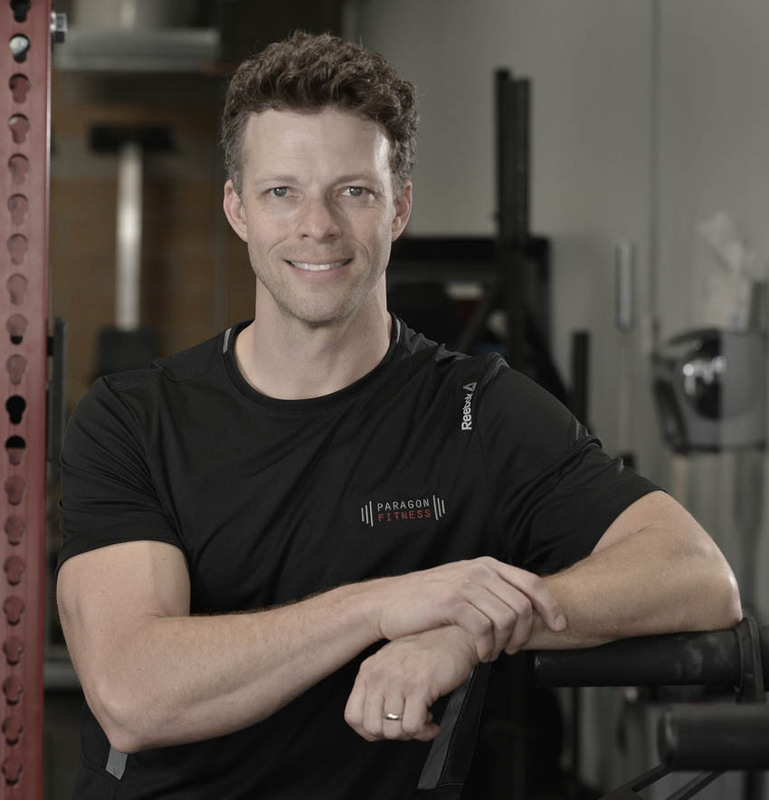 He is a National Academy of Sports Medicine certified personal trainer, and has certificates in youth fitness and senior fitness, also from NASM. Brian has had a lifelong passion for sports and recreation that started in a childhood spent playing baseball, basketball, and soccer, which led to a high school career of varsity football, baseball, and basketball and then on to Division 1 baseball in college as a pitcher. 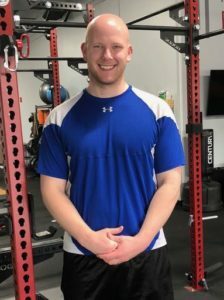 Brian’s training for strength and performance started during those high school and college years and fostered a love for fitness and for challenging the body. 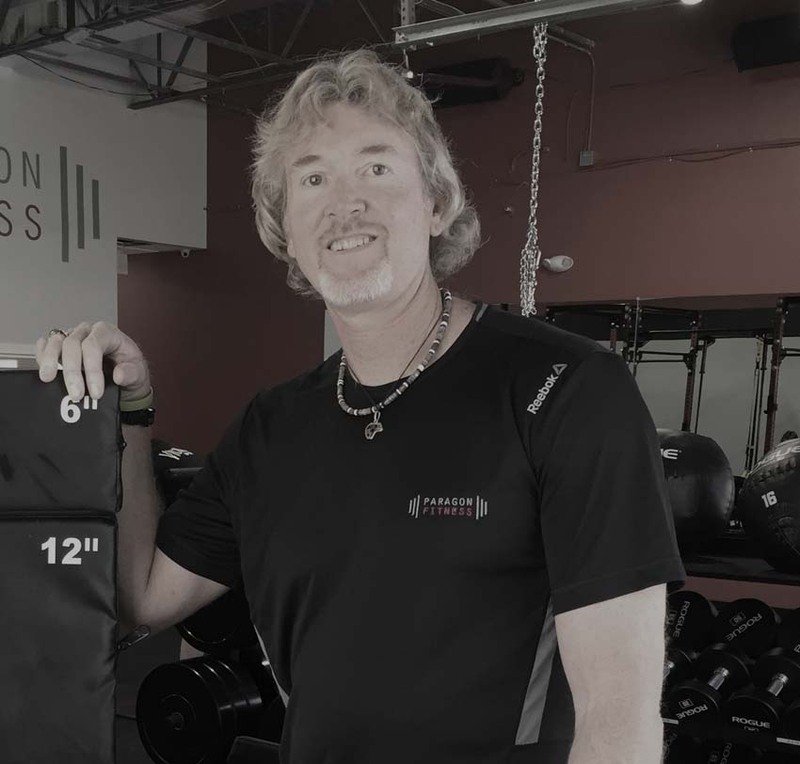 Whether scuba diving, fly fishing, mountain biking, skiing, hunting, backpacking, training in kenpo karate, or even the occasional golf game, Brian uses his training as a means for enjoying those activities, and for improving in functional strength and mobility. When not coaching or watching his two children in their sports and activities, Brian’s other hobbies include singing and playing guitar, brewing beer, studying wine (he is a first level sommelier), spending time with his wife of 25 years, and helping her with their vacation rental business in the high country of southwestern Colorado. Craig is a career Fireman/Paramedic of over 25 years. 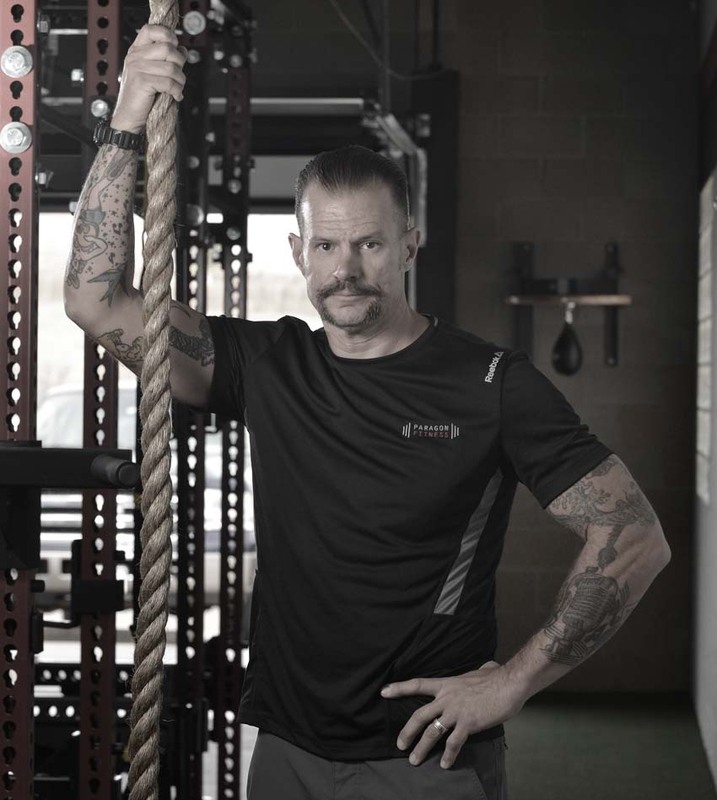 He has a passion for fitness and personal health built from his many years in the fire service. Through the rigors of training for “the job”, Craig has developed numerous workout plans tailored to fit into the busiest lifestyles. Craig’s focus is on core strength and spine stabilization and include mainly body weight exercises. He emphasizes functional strength as the way to tackle day to day life. 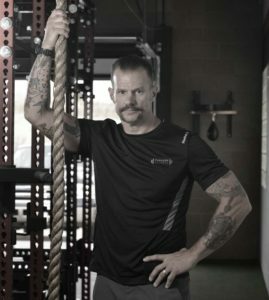 As a Wildland Firefighter, Craig has expanded and adapted his workouts to take with him wherever duty calls. Craig is also a Registered Nurse with 20 plus years of experience in emergency medicine, CPR and ACLS certified. A husband and father, Craig is a mountain biker, hiker, camper, surfer and skate boarder. He also loves team sports including baseball, basketball, and hockey. Craig is looking forward to passing on what he’s learned over the years to help others achieve their goals and make fitness an integral part of their lives.